Tech giant adds five new Indirect Partners to growing CSP program. 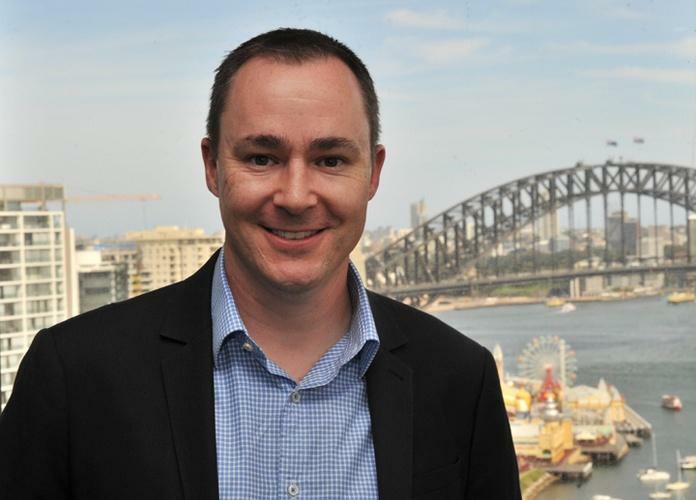 Microsoft has appointed five new Indirect Partners to its growing Cloud Solution Provider (CSP) program in Australia, triggered by ongoing momentum within its Cloud business. Joining Ingram Micro and rhipe, the expanded program sees Dicker Data and Synnex come on board as Mainstream Indirect Partners, alongside Avnet, Distribution Central and SaaSPlaza as Azure focused Indirect Partners. “Each of the new partners has been named because of their passionate belief in the benefits of the Cloud,” Microsoft Director of Partner Business and Development, Phil Goldie, said. Fuelled by a rising demand for Microsoft Cloud solutions across Australia, and a channel transitioning in parallel, Goldie said the partner additions represent a continuation of the tech giant’s commercial construct rollout for the channel around reselling Cloud. “This is a natural progression of our CSP program,” he explained. “We’ve done incredibly well over the past twelve months through our partnerships with Ingram Micro and rhipe, which has exceeded our expectations in terms of levels of performance, growing partner reach and adding new customers under CSP. Speaking to ARN, Goldie said the addition of new indirect partners will build on the ongoing momentum of the CSP program in Australia, as the vendor explores new ways to enter unchartered territory in terms of untapped markets and customer bases. At present, Goldie said “hundreds of partners” are currently transacting across Microsoft’s current Indirect Partners in Ingram Micro and rhipe, a base that continues to grow every month as the channel utilise the benefits of building annuity revenue through monthly billing of Cloud Services. For partners that want to invest gradually in developing the systems, tools, and staff needed to take full advantage of the Cloud, Goldie said Indirect Partners can assist in the transition through providing help with value added services, support, and billing. Read more ​REVEALED: How much did Arrow pay for Distribution Central? As a top performing CSP Indirect Partner in New Zealand, Dicker Data boasts a strong reach across Australian reseller partners as a long-standing Microsoft distributor. “Ranging from SMB through to mid-market and enterprise resellers, Dicker Data’s extensive partner base cover all major industry verticals from education, government to financial services, legal and agriculture and thus are a natural fit for our program,” Goldie explained. In addition, Synnex is already a Surface authorised reseller and Volume Licensing partner, with Microsoft intending to build on this relationship further through the CSP program. “They are one of the largest ICT distributors in Australia, with a strong presence globally,” Goldie added. During the past year, Goldie said the vendor has also seen rising demand for Microsoft Azure via its CSP program, with over half of the company’s enterprise customers using the platform in Australia. “We have also witnessed extraordinary level of innovation and creative evolution in the Cloud from industry disruptors, with 40 percent of Azure usage coming from small and medium business, ISVs and start-ups,” he added. Following an industry-wide request for proposal process, Distribution Central joins the CSP program as a new Microsoft partner. As a result, Goldie said Distribution Central will focus on the mid-market space and specialise in hybrid Cloud scenarios. “Their DC CloudSelect platform offers a fully automated aggregation, integration and customisation point for both Cloud and other ICT services with integrated billing, delivering an outstanding user experience that makes the delivery of Cloud products and services easy and simple,” he added. In addition, Goldie said Microsoft was attracted to Avnet’s multi-channel Cloud commerce platform, which offers an aggregated billing platform, alongside the Avnet Cloud Marketplace which can be white-labelled for partners. “We see great opportunity for Avnet to showcase their strength in Internet of Things, analytics and security,” he added. Finally, after being appointed as a CSP Direct Partner in November to sell to end-customers, Goldie said SaasPlaza will also now be able to sell through a partner channel as a CSP Indirect Partner. “SaasPlaza is focussed on Dynamics on Azure Cloud solutions and already has extensive Microsoft Dynamics engineering and support capability,” he explained. Going forward, Goldie said the long-range view of the CSP program is built around creating an environment that encourages Cloud innovation for partners. Citing the work of Ingram Micro and rhipe, Goldie said the initial CSP program partnerships “extended beyond the numbers”, which included an expanded partner reach and countless customer wins. “We’ve enjoyed a true partnership on both counts,” he added. “When we rolled out CSP we were clear to the channel that this was a new program and teething issues were to be expected. “During the past twelve months both Ingram Micro and rhipe have helped us grow as a vendor and we have no intention of slowing down on any front as we look to grow market share. As a recent example, since joining the CSP program through rhipe, Harbour IT - who has 52 Microsoft SPLA customers, with over 15,000 users - recorded net new customer growth of 28 per cent. Harbour IT has also taken advantage of the distributor’s ‘Marketing-as-a-Service’ offering to help drive customer uptake and generate new leads, with rhipe’s overall net-new partner growth from CSP now hitting the 42 per cent mark. Across the other side of the market, Goldie said Cloud is a family affair for James, Blair and Elliot Munro at Gold Coast IT Support, and through working with Ingram Micro from a CSP perspective, the company has seen a revenue boost of over 300 per cent from its own IP. With both its Worldwide Partner Conference and Australian Partner Conference around the corner, Goldie said the announcement is “testament to the channel capability” Microsoft has built in the market, with demand remaining “strong”. “Over the coming months each of the partners will share more details as they gear up for launch,” he added.